Do you remember the first time your child got on a school bus, wailed, clung to you not wanting to let you go? How about the time she cheerily got on that same bus, waving goodbye? I remember both with superb clarity. I also recall the apprehension with which I put her on a large, yellow bus for the very first time. She was just shy of turning six and a bit of trepidation overcame me as I watched her climb valiantly onto the shiny giant, backpack in place, lunch bag swinging in one hand in rhythmic motion. With one leg on the footstep, she turned a tear-streaked face my way, pleading to be allowed to stay behind. Gently, I cajoled her saying that she would have lovely seats, friends to sit by, a teacher to call out to and even an attender who would be there to help her out. Not entirely convinced, she did get on the bus and found her way towards the middle of the bus, waving goodbye as the bus pulled away. One of the first things I did that afternoon when the bus returned was to note down the driver’s number as well as the number of the teacher on board. The school had already sent us a detailed note explaining whom we could contact in case of an emergency on each bus route. It was heartening to note that she did have a smile on her face as she got off the bus. You may wonder what the big fuss is all about. I mean, we’ve all gone to school by bus. It’s not rocket science. Here’s the thing, though. Traffic is exponentially greater than what it was back then. Too much pollution on the roads is definitely a cause for concern. We can agree that we need better traffic control and regulations in place as a rule. All this can be scary and understandably so when we care about school bus safety for our kids. But it’s not all a cause for worry. 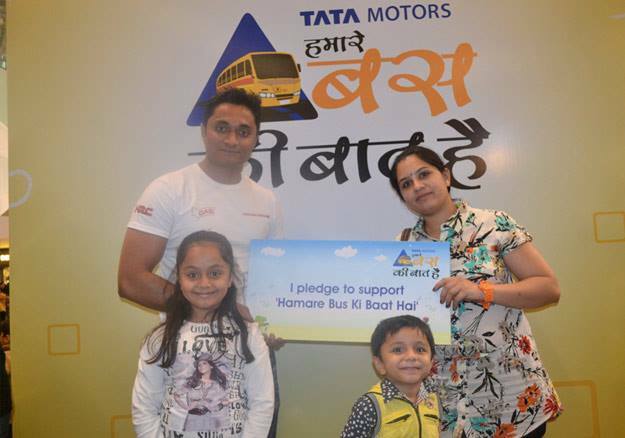 There are important things that we can learn from all of this and thanks to the Tata Motors’ Hamare Bus Ki Baat Hai initiative, we can do more as well. The phrase, loosely translated, means that ‘We are capable of doing this’ with a nice play on the word ‘bus’. How creative! I think it’s important, as parents to be both awake and aware of your respective child’s school bus safety programme and check with the school on any security guidelines that are in place for overall safety as well. Does the bus have a teacher/attender on board? Can the driver/attender be reached on the phone? Can the bus be tracked by GPRS, if required? Will I be notified of inordinate delays or exceptions to the bus timings? Never board a moving bus. If you miss the bus home, go back to the school reception area and call me. Do not fight for seats on the bus. If anything makes you uncomfortable on the bus, inform the teacher immediately. So as a parent, what can you do, you ask? 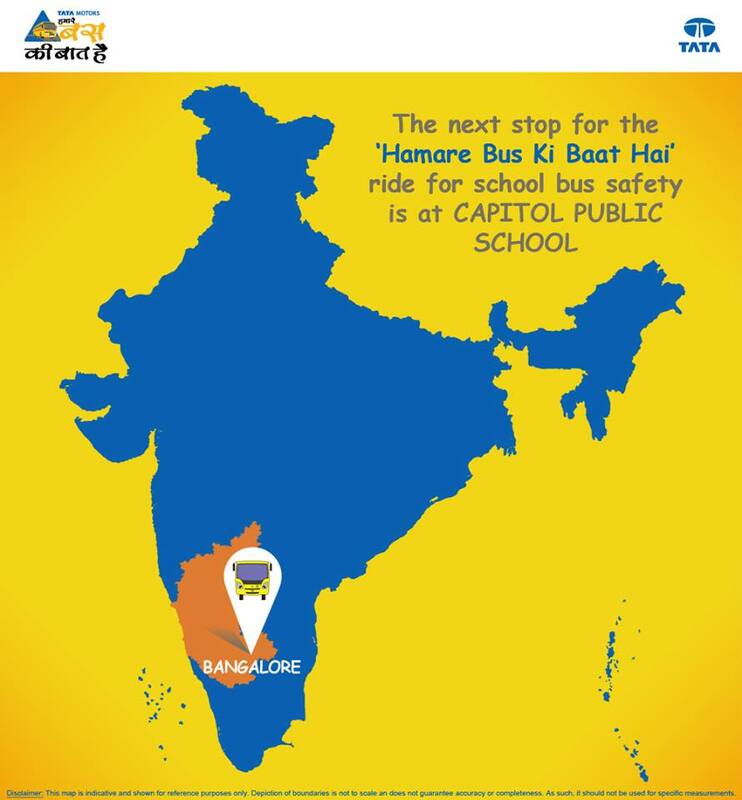 1) Read all about Tata Motors’ interesting initiative HBKBH on Facebook or on their site. There’s a lot of information that is useful for both parents and kids. 2) Take a safe travel pledge. Get your kids involved too! Hey, I did too. 3) Organise a safety session at your school. You can do it now. Nominate your kid’s school and Tata Motors will arrange for a session. 5) Get acquainted with the safe travel tips for both kids and parents. As parents in a digital age, I think the onus rests as much on us as it does on the authorities to ensure that our children get the best and safest travel necessary. Let’s join hands to ensure that school safety is of paramount importance for our children. What a coincidence that you wrote this on the very day that I was worried about a delay of the school bus' arrival :). Good tips for all parents Shailaja! Ha, call it coincidence or timely intervention! I know I have freaked out rather often when the bus has been late especially now since the kids walk back home on their own. It does help to have schools that are accountable and responsible. Thanks Aparna! I'll let my friends who have kids know about this right away. Oh yes please do! I think we should let more parents know about it right away 🙂 Thanks Soumya! It is a good initiative and so useful! 🙂 Glad to see a big corporate group take a wonderful social responsibility like this. Awesome initiative. Nominated my kids' school. Great initiative….. 🙂 Taken the pledge, shared it in fb. Oh I remember clearly what it was like. Mercifully schools these days are very aware and we have all the numbers in case of delays so we know exactly where the child is at all times. Good to hear that. Thanks Vasantha, for spreading the word. 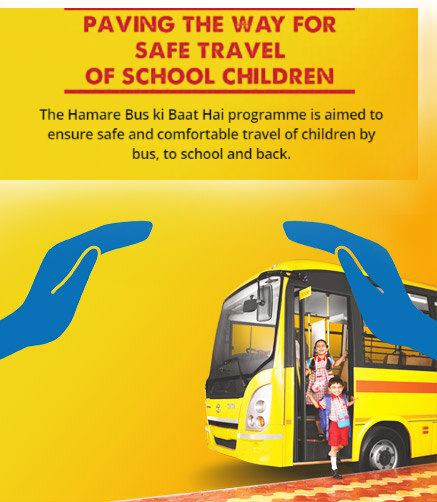 I am glad there are such initiatives to make even the bus travel safer for kids. In today's age it is needed. Same here, Rajlakshmi. Life isn't the same as it was when we were growing up.